PM [CP]Chain on IRC negotiate an elder contract! Is this why no one will ever fight CP @ mossies even with a 30 opt advantage? CP Vs EoP Tournament 30v30 Cup - Who Will Win? 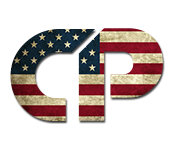 not counted [CP] Action Packed Saturday ft. Eop, Tlp, Sup and Rd.